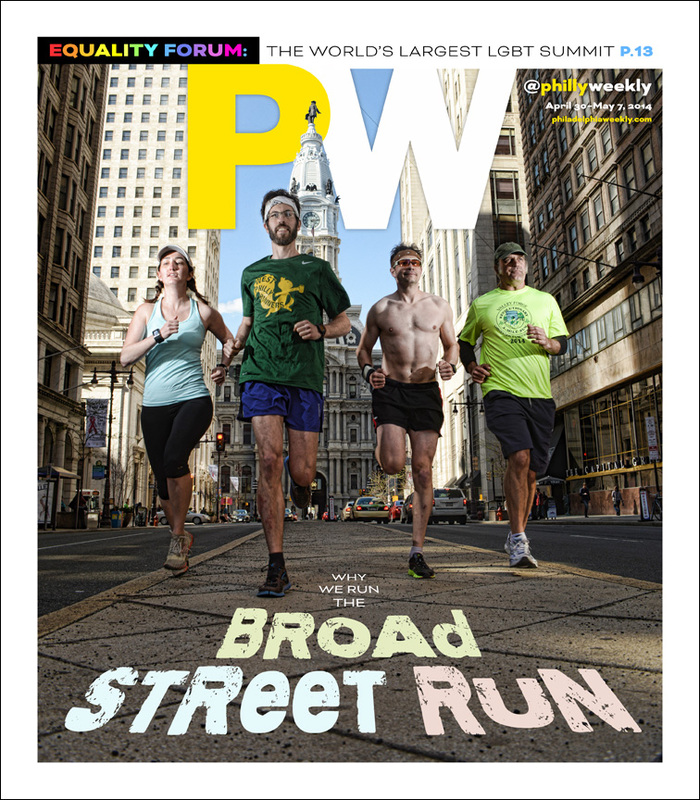 I got a surprise from the Philadelphia Weekly yesterday -- the 2015 Society of Professional Journalists awards had been announced and I'd been awarded first place in Sports Photography for a non-daily for my cover last year about the Broad Street Run, and on top of that, I shared a third place award with editor Stephen Segal for Tabloid Page Design for the cover of director, writer & musician Melvin Van Peebles (although I had nothing to do with the page design apart from taking the photo). In all, the Philly Weekly won 11 awards including a first place for Stephen in the category of Headline Writing for the article about the 6,500 year old mummy lost in an archeology museum for 83 years which I photographed. This is all particularly poignant as I'm preparing to run Broad Street again this year. It's been a good twelve months. Cover art. Clickenzee to embiggen! The actual awards ceremony is May 30th in Gettysburg PA. I'll get to wear my tuxedo again. I can't really express how nice it is to be recognized by my colleagues and how grateful I am to the Philly Weekly for a) submitting my work and b) not telling me that they did so I wouldn't be worrying about it. I clearly need a FB break. yeah. me too. i mentioned that to LJ years ago when I was on the board as something to consider, though i dislike the idea of being able to participate without effort at it's core. what they really need more is a single line "reply" so it doesn't require multiple clicks to add a note to a post. This is so great, Kyle! Congratulations! And I love that you have another opportunity to wear a tux! I have read that article about the"lost" mummy, now I have to go back and look at the photo credits and squeel for you. The lost mummy was pretty amazing. I should post some of the unpublished photos -- there were some really good ones.